Parent Association at Chabad is an active organization. From arranging meals for new mothers to organizing after-school activities, our Parent Association helps build a strong sense of family and community at the CELC. Learn how you can be involved! Here you will find all of the forms, important information, weekly emails and communications from the administration and teachers. We keep this area password protected. If you are a parent and would like access, please call the office to recieve a user name and password. 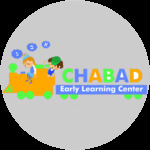 View the Chabad ELC school year calendar.